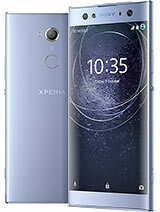 can u help me pls... what's better xperia x8 or experia x10 mini? cool, 12 Mar 2012yes it can :) not officially, but it can, Im using 2.3.7 on my x8how can i upgrade my android 2.1 to a higher version? Cant wait to get my hands on it. Hope stocks remain until month end of march. Or i would just die!!!!! Very poor battery life, needs charging EVERY day ! Camera is crap for a 3mp. Only decent thing it has is Android ! lan tran, 12 Mar 2012What should I buy between this one and SS galaxy Y because the operation of this one is Androi... moreimho, buy samsung galaxy y. it has better processor (833 ghz), newer os (gingerbread), support multitouch, better RAM (278). but galaxy y has poor screen quality. i don't think both phone support flash since both have old arm v6 processor that doesn't support flash player. JigaR Mehta, 07 Mar 2012Fake claim that it supports upto 16 GB SD Cards. Even an 8GB card gets it "hanging around"well I'm not having problem with my sd card, maybe because your sd card is only class 2 or 4, you must use a class 10 sd card if you want to use 16gb sd cards. AnonD-45899, 10 Mar 2012it iz just the smartest smartphone at dis price range...beat samsung ace,y,pop easily! !got d b... moreis whatsapp and opera mini compatible with 2.1 froyo? How much long a Li-Po and Li-Ion battery life? ?